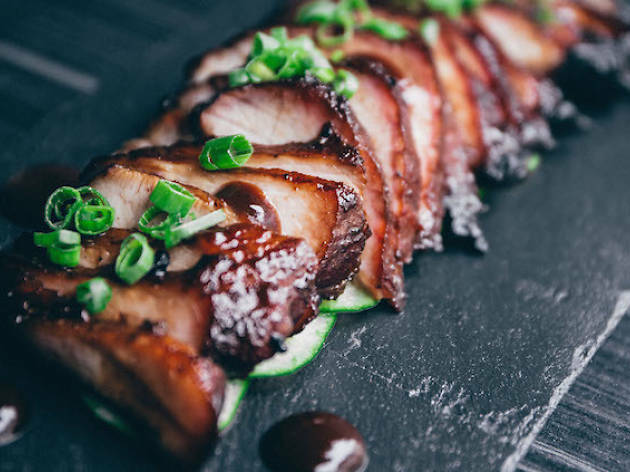 Chinese comfort food has found itself in vogue again with the recent wave of upmarket roast duck chop shop launches and the opening of Mak's Noodles just a week away. New Amoy Street noodle joint WANTON does its bit to put yellow noodles, pork dumplings and char siew in cool footing. WANTON's story is a heartening one. 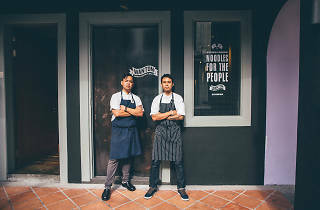 After a childhood weaned on the bowls at Seng's Wanton Noodles in Dunman Food Centre, restaurant co-owner and chef Benson Ng partnered childhood friend – and The Establishment Group's executive chef – Brandon Teo to continue Seng's five-decade legacy. 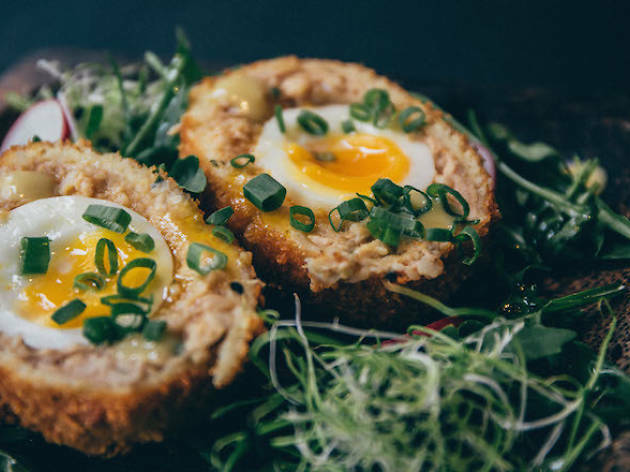 Their Gen Y update is made hip with a black-walled storefront, cold screed concrete, and more seats along an open-kitchen bar than tables for group dining. Come in a party of more than three, though, and forgo any meaningful interaction. Like the group's other ventures – ZuiHongLou, Gem Bar and :pluck – the vibe and service are a little too frosty to feel welcome in. This same can be said for WANTON’s prices. People looking for the affordability of the original can only reminisce about those (erstwhile) good ol' days. Dinner is served up in a sharing format: $2 gets you a plain base of glossy yellow noodles with a good bite, which you can dress to preference with the caddy of oils, chilli sauce and lard crackers. 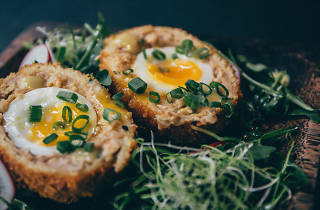 Add-ons like tender, torched char siew ($12), very peppery boiled wontons ($8), and a meaty take on the Scotch egg they call batalong egg ($7) need to be ordered on the side to complete the bowl. 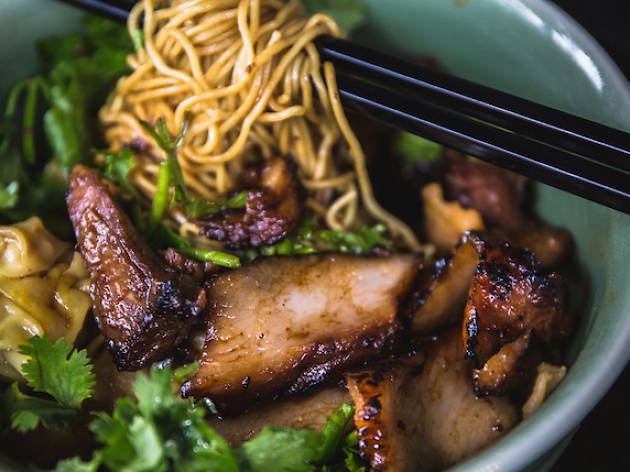 The juicy meats float in sous vide bags and are cut to order, and the zi char style plates go really well with our own flavour of dressed noodles. Each plate is to be shared among two to three diners – which means the bill will add up really quickly. 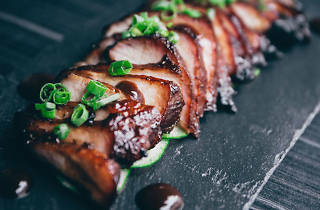 While we're sure the recommended roast pork ($13) can be pretty good, we won’t put our money on it. We gaze forlornly at the gummy, undercooked skin served to us, and watch on in envy as a female chef with her blade crackling through meat meant for other diners. A co-owner's blank look when we offered feedback only made us feel the pinch even more. 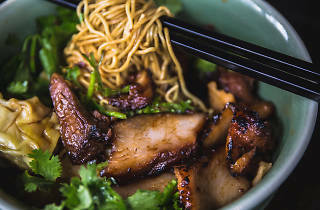 Lunch is more mercifully priced with noodles embellished with wontons, char siew ($5.50/small, $6.50/medium) and roasted pork belly ($6/small, $7/medium) available to order. Power wonton noodles ($9/small, $10/large) is the super-sized option, tossed with a whole host of toppings like gooey 5-minute eggs ($2) and steamed baby kailan ($10). 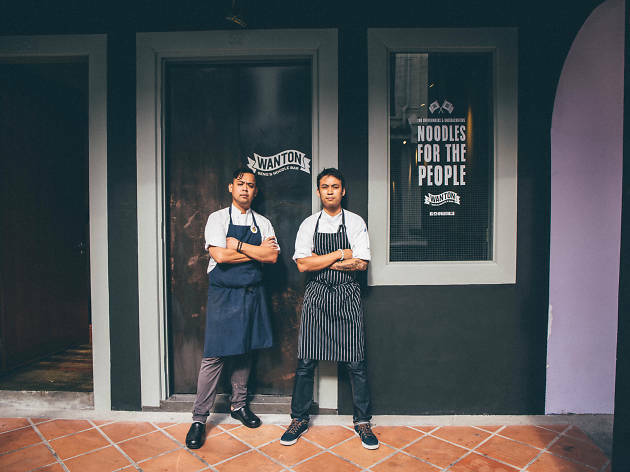 We're all for supporting the work chefs such as Ng and Teo put into continuing our treasured hawker heritages. And we like what they’ve done with the humble noodle. Now they just need to work on rekindling the same friendliness the pair drummed up with the original Seng's. Mon-Thur 11am-11pm; Fri 11am-1am; Sat 5pm-1am.